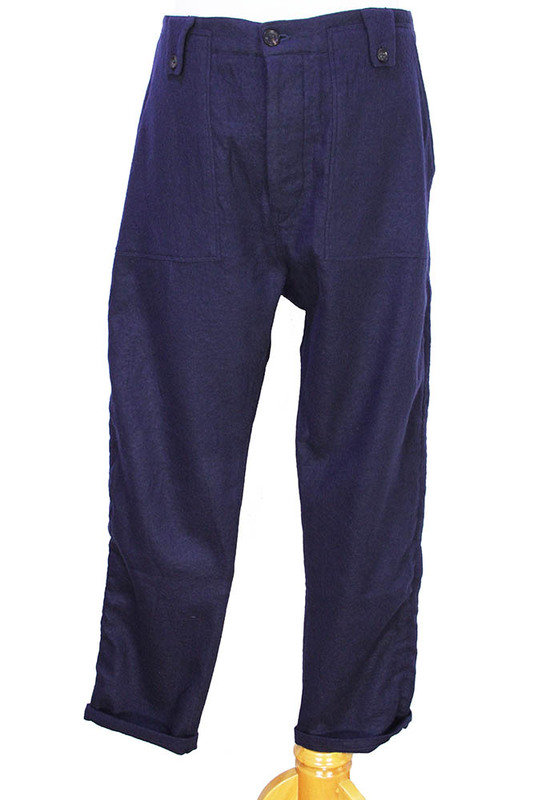 The Lost Explorer blue, boiled wool/cotton mix fabric, 'Fatigue Trouser'. Buttoned belt loops. Buttoned fly with placket. 2 large patch pockets at the front, with angled entry. 2 rear patch, concertina pockets with shaped flaps and button fastening. 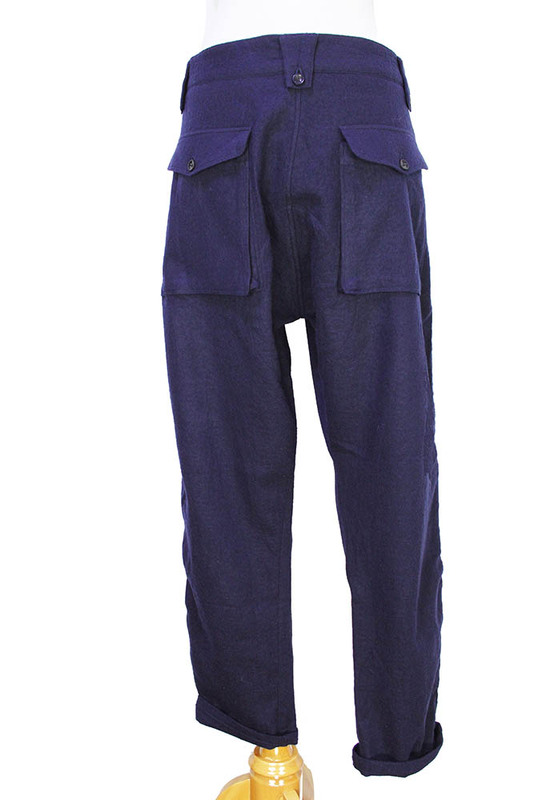 Beautiful trousers in a wonderful fabric, we fell in love with them instantly! Sizes: XS-30", S-32", M-34", L-36"